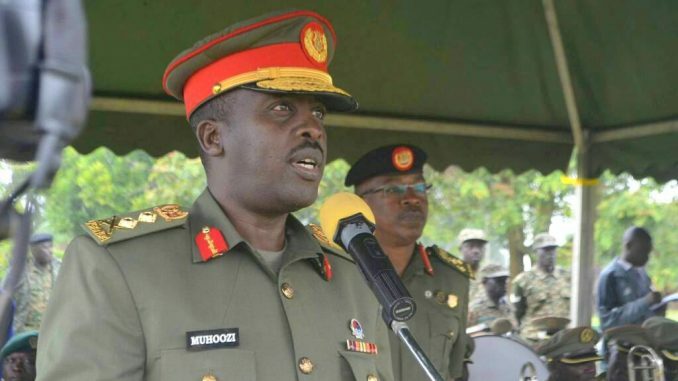 The Commander of the Defense Forces Gen. David Muhoozi has said Uganda is facing eminent security threats from foreigners entering the country. General Muhoozi said the foreigners are coming into Uganda with small and light arms being used in urban crimes in the major towns in Uganda. He urged security apparatuses in districts neighbouring other countries to tighten surveillance at the borders to control the influx of the foreigners. He cited the influx of foreigners to the Northern Uganda corridor and refugees from South Sudan and the Democratic Republic of Congo which threatens Uganda with influx of small and lights arms. Speaking in Gulu 4th Division Military barracks on Wednesday, Gen. Muhoozi said the spectrum of urban crimes is becoming a big headache to the Police and the Intelligence which explains why the military is often called to reinforce the police. He said some of the security threats are delivered through social media while others target post-conflict vulnerability in the region. 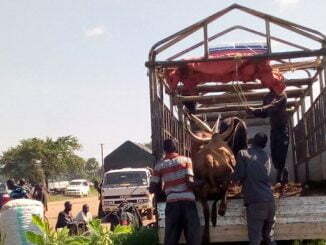 According to Gen Muhoozi, the current state of environmental destruction taking place in Northern Uganda requires a plan of action which will solve the growing national energy demands for cooking. He assured the nation that the UPDF is ready and fully prepared to counter such foreign threats. The Commander of the Defense Forces was speaking at the handover of Brigadier Emmanuel Kanyesigye, the former Commander of the 4th Division Military Barracks in Gulu who has been transferred to serve in Burundi as a military attaché. Brigadier Kanyesigye handed over office to Col. Bonny Bamweseki, formerly the second in command at the first UPDF Division military barracks. Gen. Muhoozi urged government to install Ebola screening centres in districts at the borders to collaborate with UPDF in checking activities of the foreigners. Col. Bamweseki said he accepts the responsibilities assigned to him by the commander of the defence forces and will work towards stability and sustainable peace in the region. 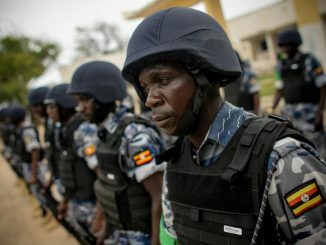 Of recent Uganda has been under the radar of foreign countries including the United Kingdom Parliament for the mistreatment of opposition politicians following the June 2018 Arua Parliamentary by election violence. On Tuesday, the UK Parliament debated Uganda’s Democratic future in which it rejected a move to slap travel bans on some government officials for what it described as decaying state of democracy.